Ph.D., with first class or equivalent at the preceding degree in the appropriate branch with consistently good academic record throughout. Assistant Professor - At least 3 years industrial / research / teaching experience excluding however, the experience gained while pursuing Ph.D. Candidates preferably should be below 35 years of age. Associate Professor - At least 6 years industrial / research / teaching experience of which at least three years should be at the level of Assistant Professor / Senior Scientific Officer / Senior Design Engineer. 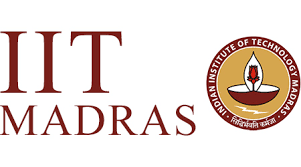 Professor - At least 10 years industrial / research / teaching experience of which at least 4 years should be at the level of Associate Professor in IITs, IISc Bangalore, IIMs, NITIE Mumbai and IISERs or at an equivalent level in any such other Indian or foreign institution / institutions of comparable standards.